From the organization's web site: "The primary goal of Toys for Tots is to deliver, through a new toy at Christmas, a message of hope to less fortunate youngsters that will assist them in becoming responsible, productive, patriotic citizens." You get cigars and kids get toys! All proceeds will be sent to SeñorPablo for a donation to Toys for Tots on behalf of the Cigar Geeks community. This year, we have 20 great cigar kits up for auction. The details of each kit can be found below with each kit. If you have any questions about any of the kits, please ask about them! See the description of each kit for starting bids. You may bid as many times as you would like in increments as noted for each kit. Shipping and handling will be included in your bid (single address only, please). When posting your bid, be sure to include the name of the kit. For example, “$75 for Kit 1". This auction will run through 11:59:59 PM CST, Saturday, December 15, 2018. When Sunday rolls around, the auction will be OVER! I will however keep the donations part of this open for another 24 hours after the auction ends for those people that want to donate to Toys For Tots with a cash donation and be entered into the high end 5-er drawing! **This will be updated regularly, but check the thread for higher bids! If you wish to make a donation, you can do so by sending McBryde a PM or posting on this thread that you want to support Toys for Tots. This is a great way to contribute if your highest bid doesn't make the cut! Geeks will be entered into a drawing for a high end 5-pack, (one entry for every $25 donated). Cfickter, DRuff, BewareDaPenguin, Vroomp, toby2, Longhorn, Ninfiction, SenorPablo, Nirab, McBryde and 05venturer. Also to whoever sent in cigars for the TFT Drive in 2016. Thank you all very much! 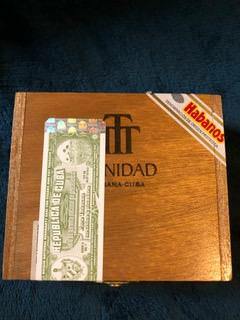 ****** The donor of this auction item has told me to add this statement to this auction Lot: "For every $20 bid, I will add another fiver of great cigars. 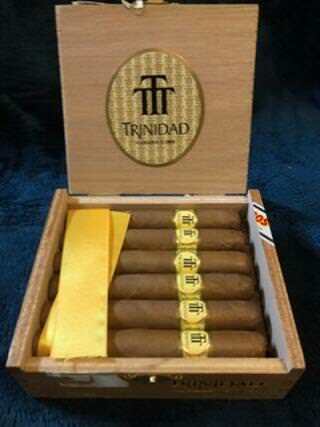 "*********** The starred cigars are the ones that have been added to the auction with increased bidding! Keep it up! Opening bid: $35 ($3 minimum bid increments). Kit highlights: The Piggy Pack: 1 each of the No 9, T52, Feral, Undercrown & KFC pigs. Also, 1 pack of 5 Surrogates Cracker Crumbs. 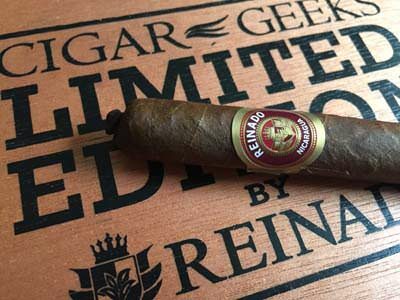 Kit highlights: 5 pack of Crowned Heads TAA Angel's Anvil. 1 of each year 2014-2018. These cigars come from Alejandro “Alex” González Aria. He is the youngest level 9 roller in Cuba and rolls his cigars at the Hotel Comodoro in Miramar, Havana. His clients come from all over the world, many of hem famous, including Michael Jordan. 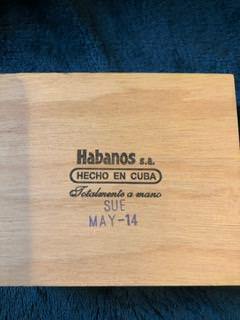 These cigars were rolled like a Behike 56 and contain an extra leaf of ligero and a slightly darker wrapper than normally found on a Cuban cigar. They were rolled in December 2017 and picked up in January 2018. Due to the tight controls the Cuban government places on un-banded cigars, these cigars are more difficult to come by than regular production cigars. These cigars come from one of the best tobacco farms in Cuba - Hector Luis Prieto's Tobacco Plantation (San Juan y Martínez - Pinar del Rio). In 2008, Hector Luis Prieto became Habanos S.A.'s youngest ever "Hombre Habano" (Cigar Man of the Year) in the production category. To put that into perspective, only 6 have ever won the award in the category, 3 of whom have passed, and 2 others who are in their 70s. It was quite an achievement as Hector won the award at the age of 36. These cigars were rolled like a Behike 56 and contain an extra leaf of ligero. They were rolled in January / February of 2018 and picked up in February 2018. Kit highlights: This kit was donated by SenorPablo and includes a box of the World Famous, extremely limited edition Cigar Geeks cigars by Reinado Cigars. These are a unique blend of a Nicaraguan Puro (Ligero and Viso filler) with a Habano Maduro binder and wrapper. The box comes with 10 cigars in a 6x38 Panatella size. This Kit is a mystery, but the value will not be! As the bid goes up, so will the contents. I promise that whoever wins this package will not be dissapointed. 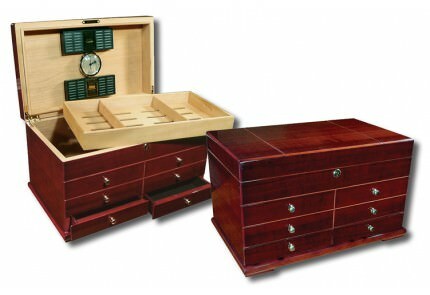 One 5pk alone will be worth at least $100...and there will be cigar swag, along with some Cigar Vault gear. Be generous with your bids, and I will be just as generous with the contents! !